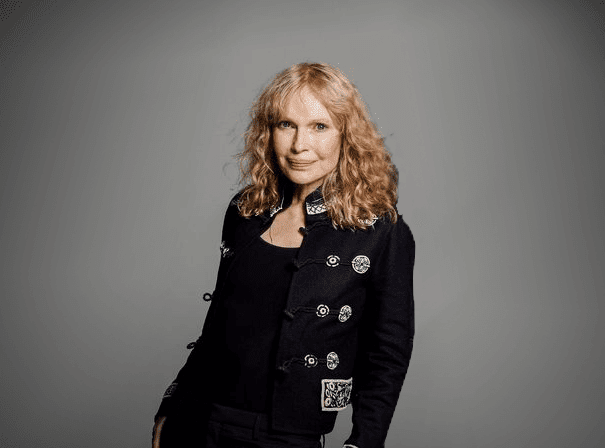 American actress, activist, and former fashion model Mia Farrow has appeared in more than fifty films and won numerous awards, including a Golden Globe Award and three BAFTA nominations. As an actor, she first achieved stardom in 1964 on the primetime soap opera Peyton Place playing the role of Allison MacKenzie. Her first leading film role was in Rosemary’s Baby, which reached critical and commercial success and remains in the public imagination as a timeless and classic horror. Her performance as Rosemary Woodhouse earned her several nominations and established her as a leading actress. Farrow went on to appear in more 70s films like Follow Me! (1972), The Great Gatsby (1974), Peter Pan (1976), and Death on the Nile (1978). From 1980 to 1992, Farrow’s relationship with actor-director Woody Allen resulted in many film collaborations. After appearing in almost all his films throughout that period, she then took on roles in several independent features and made-for-television films throughout the late 1990s and early 2000s, authoring an autobiography, What Falls Away, in 1997. She has since appeared in several films opposite high-profile stars like Jack Black and Danny Glover. Farrow is also known for her impressive work as a UNICEF ambassador, including humanitarian efforts in Darfur, Chad, and the Central African Republic, earning her a spot in TIME Magazine’s list of the world’s most influential people.